At NeuBody, we provide total body rejuvenation and recovery services. We offer modern Cryotherapy, Cryoskin slimming & toning and NormaTec pulsating massage technologies to help you feel better, look better and live better. See everything we have to offer and come visit us at our Perkins Rowe location, in Baton Rouge. 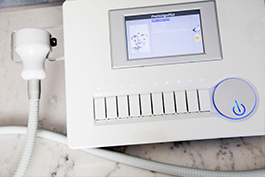 Cryotherapy is full body rejuvenation that uses dry, cold-air therapy in a safe 3 minute spa treatment to activate the body’s organic healing process and reduce inflammation. Used for professional athlete recovery, rheumatoid arthritis, chronic pain management, and everyday aches and pains. 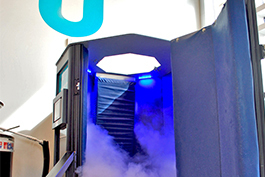 Experience the benefits to fitness, health, wellness, skin and beauty – long after leaving the Cryosauna. Get rid of unwanted fat without surgery or downtime through an innovative non-invasive treatment for legs, thighs, arms, stomach, back and face. The Cryoskin process slims, tones and reduces cellulite for a more vibrant, youthful appearance. 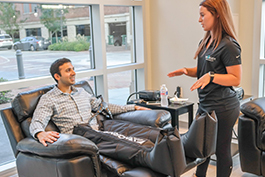 The solution to rapid recovery for athletes is NormaTec. The patented technology, developed by physician and bioengineer Dr. Laura F. Jacobs, uses compressed air in an innovative pulse pattern to massage your limbs, improving circulation and speeding recovery time.